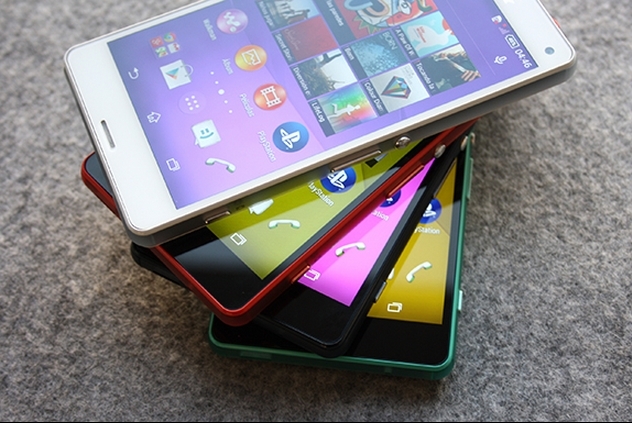 Sony Xperia Z3 Compact Press Shots Reveal a Stunner Device! Leaked Sony Xperia Z3 Compact Press Shots Reveal a Stunner Device! Sony is going to create some storm at IFA, 2014 with its press events set to launch a few devices. 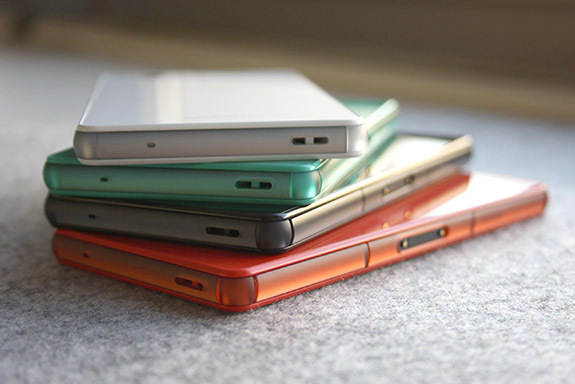 One of these devices was rumored to be a smaller version of upcoming flagship Sony Xperia Z3. Today, we are looking at some awesome press shots of Sony Xperia Z3 compact leaked online. While it’s not sure if these are press shots but looking at the quality of images and presence of all offered colors, they surely do seem like belonging to the press. 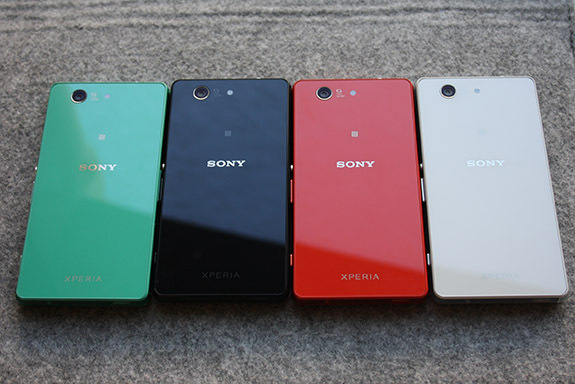 Sony Xperia Z3 Compact looks like a stunner from these images with two new colors being offered this year! The leaked Xperia Z3 Compact press shots reveal quite a spectacular device and we can see the design is almost intact as we had earlier expected. Sony was rumored to keep the design features of its flagship lineup starting from Sony Xperia Z1 and Z3 Compact has kept up to that design ideology as well. The only new thing that we are looking at here is two near colors – teak and orange – which may have possibly replaced the earlier offered colors of purple and yellow which were seen in Sony lineup in the past year. The new colors surely look amazing to say the least! A source familiar with the specifications of the Xperia Z3 Compact has come forward with some more detail. We’re expecting to see Sony’s now-familiar 20.7MP camera make a return, but this time it’ll be connected to a Snapdragon 801 at 2.5Ghz with a 2600 mAh battery behind a 4.6-inch 720p display. Interestingly, it’s also claimed that the Z3 Compact will use a Nano SIM (the original used a Micro SIM). Our source also confirms White, Black, Orange and Green colours although availability by region still isn’t known. Details shared match with earlier rumors of Sony Xperia Z3 and the Z3 Compact being powered by a 2.5GHz quad-core Snapdragon 801 and a 720p display. However, the smartphone was expected to be a 4.7-inch like Samsung Galaxy Alpha and the upcoming iPhone 6. Sony is also expected to unveil its flagship, 5.2-inch Sony Xperia Z3 and its thinnest tablet, Sony Xperia Z3 Tablet at its press event in Berlin. Stay tuned as more details unwrap! Sony Deep in Waters at IFA 2014? Looks So! Microsoft’s Selfie-Phone Officially Ready for a Launch at IFA!